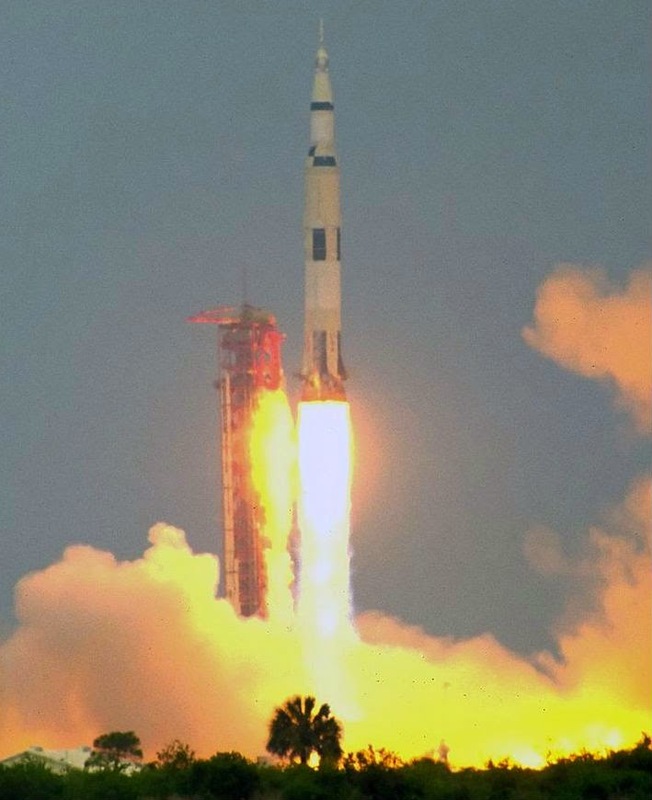 Apollo XI was launched from the Kennedy Space Center on July 16, 1969 at 9:32 AM EDT with astronauts Neil Alden Armstrong (Commander of the mission), Edwin Eugene “Buzz” Aldrin Jr. (Lunar Module Pilot) and Michael Collins (Pilot of the Command Module Columbia) aboard. The launch of Apollo XI on July 16, 1969 was one of the greatest scientific achievements of mankind. On July 19, the spacecraft entered the lunar orbit after traveling 240,000 miles in 76 hours. 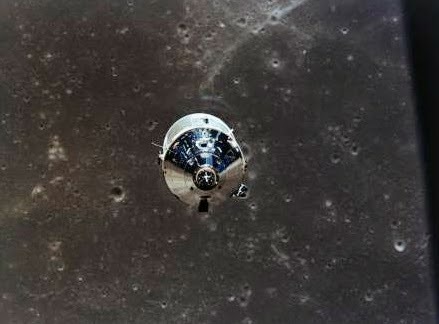 The lunar module (Eagle) separated from the command module at 1:46 PM on July 20. Colins who was the pilot of Columbia remained in the command module, while Armstrong and Aldrin proceeded towards the Moon in the lunar module. 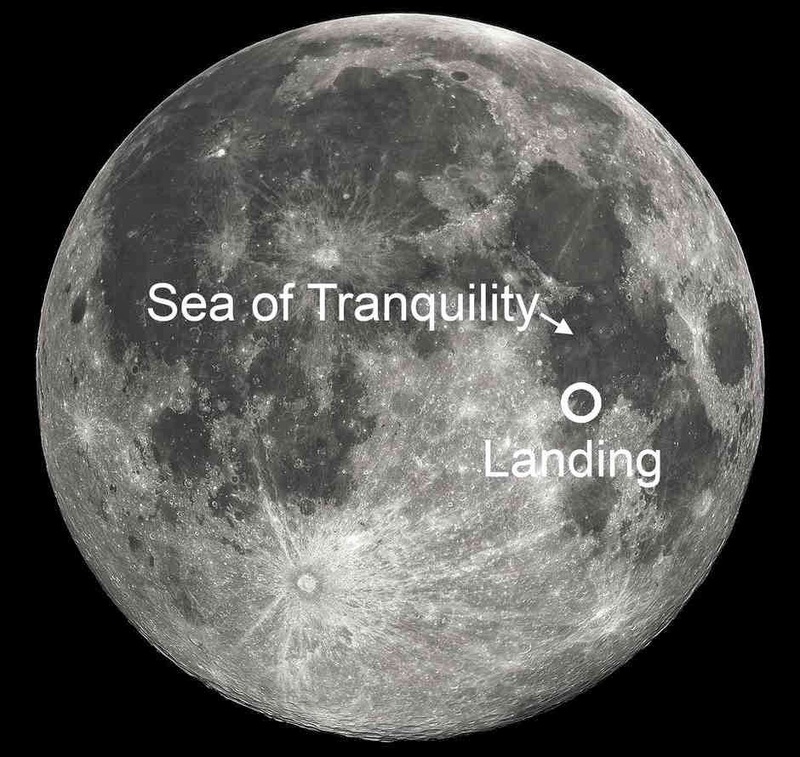 The lunar module landed on the Moon at the Sea of Tranquility (a lunar mare situated within the Tranquillitatis basin on the Moon) at 4:17 PM on July 20. Armstrong immediately radioded the Mission Control in Houston, Texas - “The Eagle has landed”. 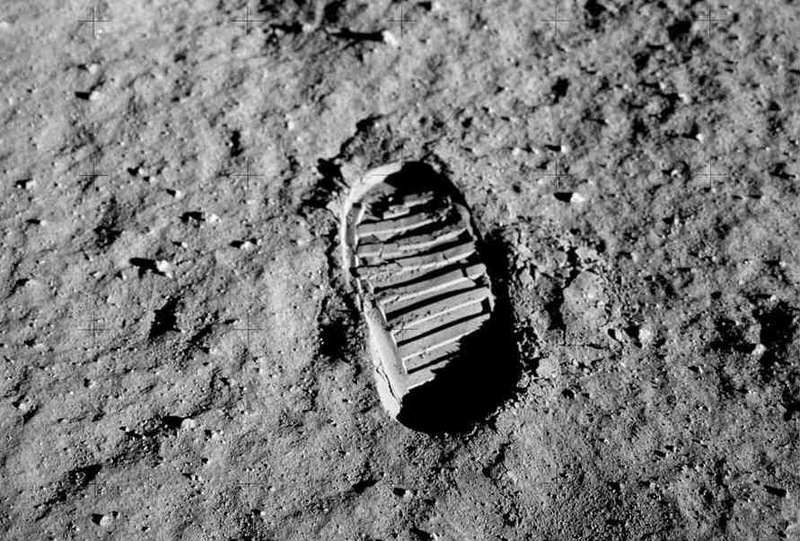 At 10:39 PM Armstrong opened the hatch of the Eagle and stepped on Moon at 10:56 PM saying “One small step for a man, a giant leap for mankind”. 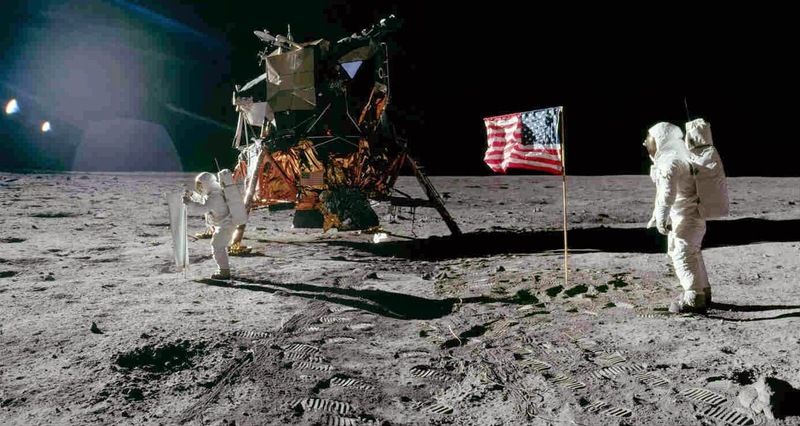 Armstrong was joined by Aldrin 19 minutes later, and they took pictures of the geographical area, deployed the Solar Wind Collector (SWC), a foil sheet and implanted a US flag, conducted few scientific tests and communicated to President Richard Nixon via Houston. They went back to the Eagle and closed the hatch at 01:11 AM on July 21 and slept on the surface of the Moon. The Eagle began its ascent to re-unite with Columbia at 01:54 PM on July 21. 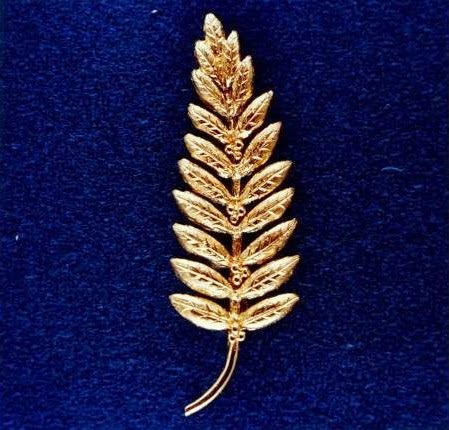 They left a plague on the surface of the Moon which read “Here men from the planet Earth first set foot on the moon–July 1969 A.D–We came in peace for all mankind” and an golden olive branch which is a sign of peace. However it has also aggravated controversies which is still debatable even after 45 years. 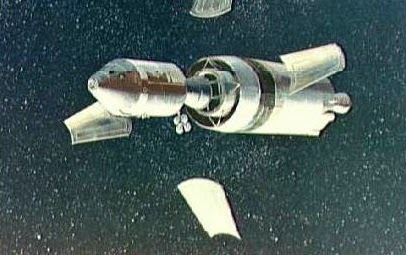 The Apollo XI mission was broadcast on live TV and radio to worldwide audience. Not only NASA but many private radio channels were also broadcasting the events live. It was an unforgettable experience to see Armstrong walk on the Moon. However two minutes of radio silence amazed millions of audience all over the world. What really happened over the “blackout” period is quite unclear but many experts believe that NASA has not disclosed all the facts of the historical mission. It is a mystery why the United States eventually abandoned manned lunar missions. 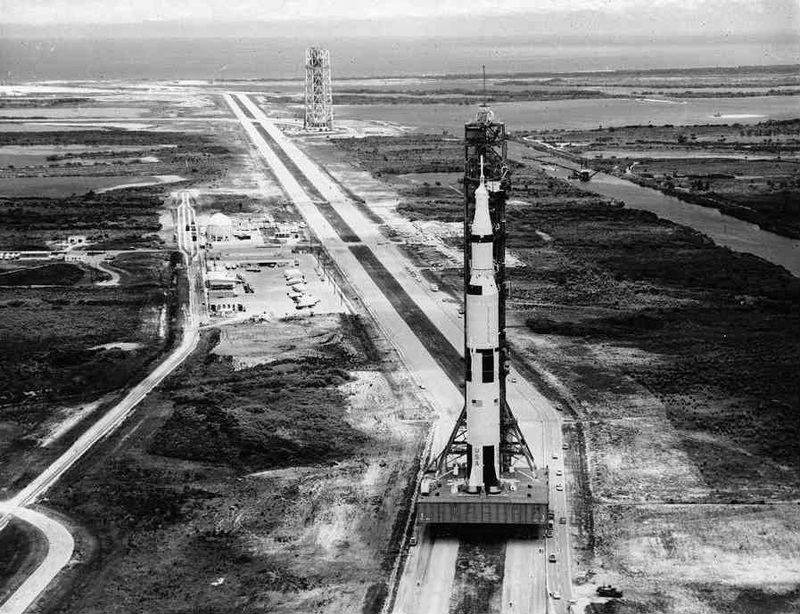 All the manned lunar missions after Apollo XI was preplanned, but not a single manned lunar mission has been scheduled after Apollo XI. Many officials at NASA believe that Armstrong has witnessed something so strange, weird and extraterrestrial that it changed his as well as NASA's perception and finally led to abandonment of manned lunar missions. 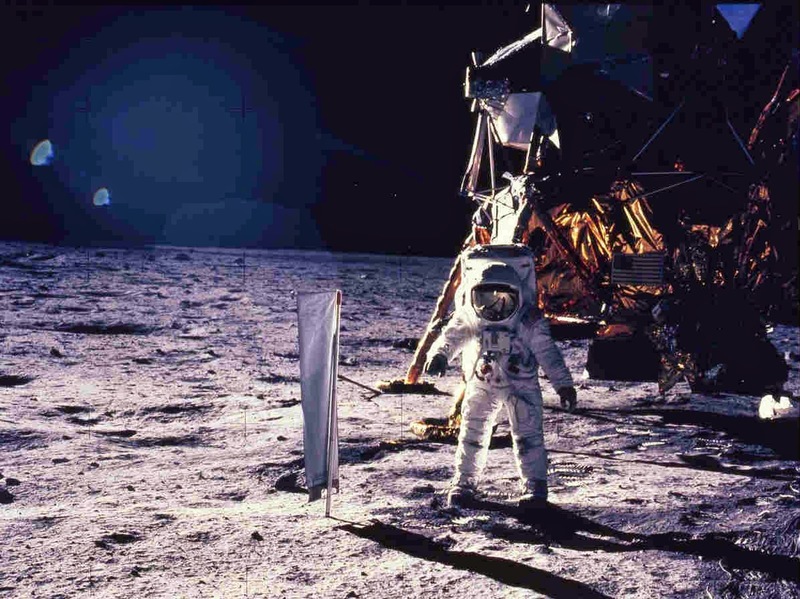 Evidences from government's leaked documents and photographs reveal that Armstrong had witnessed much more than desolate, dusty and dangerous landscape on Moon which was televised to millions of spectators. According to the leaked documents two huge alien spacecrafts watched the landing of the Eagle very carefully and observed the moonwalk of Armstrong and Buzz Aldrin. What was it? What the hell was it? That's all I want to know! These "Babies" are huge, Sir! Enormous! I'm telling you there are other spacecraft out there, lined up on the far side of the crater edge! NASA says that it was not a blackout and clarifies that one of the TV cameras overheated, malfunctioned and interrupted the reception. However, this surprised almost every well-educated man on the planet who could not accept the excuse of how such an indispensable equipment (in fact one of the most indispensable equipment) could malfunction in such an important and expensive project. Dr. Vladimir Azhazha, a physicist and Professor of Mathematics at Moscow University was the first to corroborate the UFO encounter which actually happened immediately after the lunar module (Eagle) landed on the surface of the Moon. According to Soviet scientists, Armstrong relayed a message that two large mysterious UFO's landed in vicinity to the lunar module and kept a watch on them. But NASA censored this message during the alleged blackout and the general public never heard it. Buzz Aldrin filmed the UFO's first from inside the lunar module and then continued to film them after he went outside the module. The UFO's departed minutes after the astronauts came out on the lunar surface. 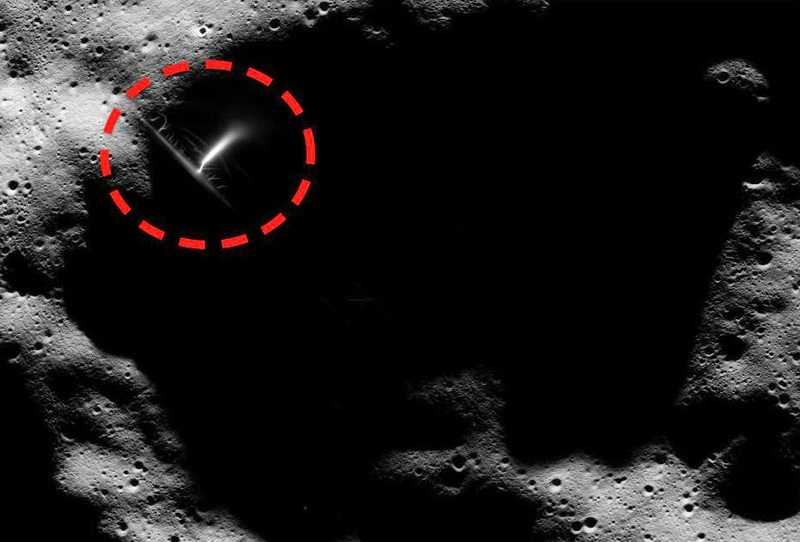 Maurice Chatelain, former chief of NASA Communications Systems confirmed in 1979 that Armstrong had actually reported sighting of two UFO's on the edge of the crater. The radio transmissions were interrupted on several occasions to hide the incredible and explosive news from the public. According to Chatelain, all Apollo and Gemini missions were followed by spacecrafts of extraterrestrial origin (UFO's). The astronauts were ordered absolute silence every time they informed the Mission Control because NASA did not wanted to create panic. Astronauts often used code names for UFO's and extraterrestrial entities so that it sounded as a normal conversation to the general public. Several code names such as FIRE, BOGEY, SANTA CLAUS was used. It is believed that the first astronaut to use the code name was Walter Schirra aboard Mercury 8. As per the report from experts, the alien spaceships were huge and dangerous and technically much more superior to ours. 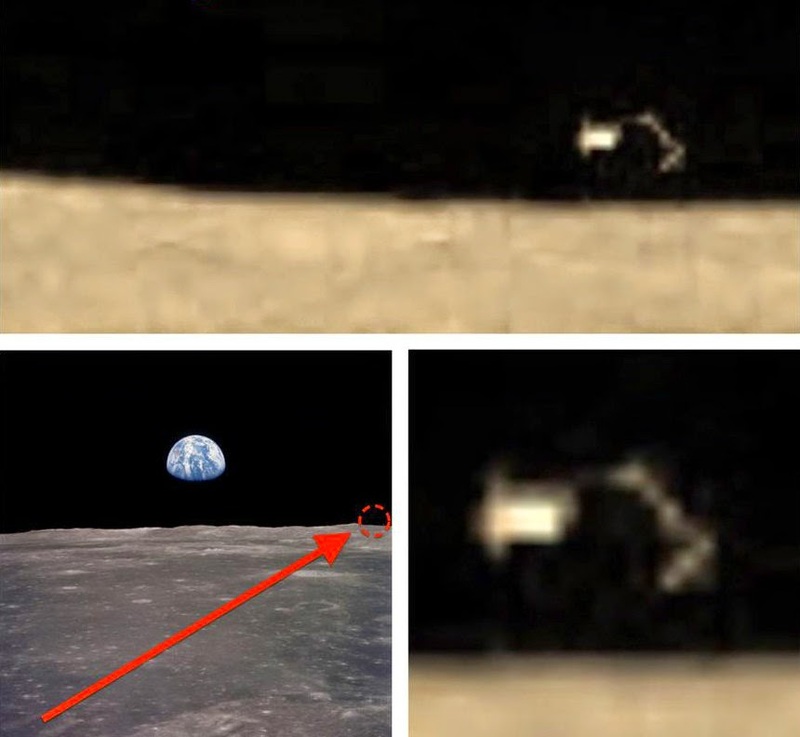 The astronauts and their spacecraft were being observed continuously by the UFO's at all the space missions which ended the possibility of initiation of a space station on Moon and Moon city. In fact, The UFO sightings began much early in the mission when the spacecraft en-route to Moon was halfway in its journey on July 17, 1969. 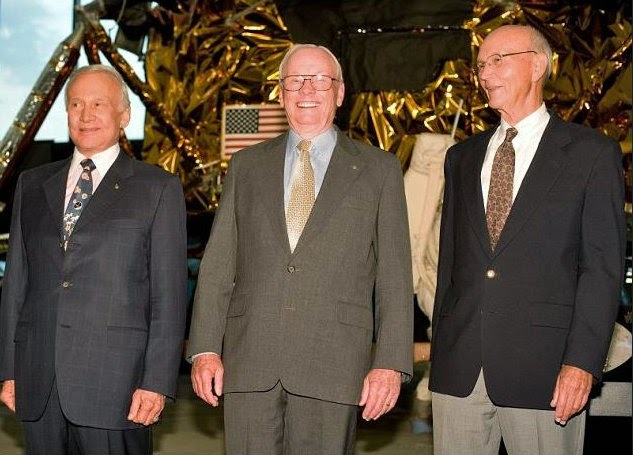 The trio Neil Alden Armstrong, Edwin Eugene “Buzz” Aldrin Jr., and Michael Collins spotted an UFO pursuing and actually pacing the spacecraft alongside. It seemed to be a mass of intelligent energy. 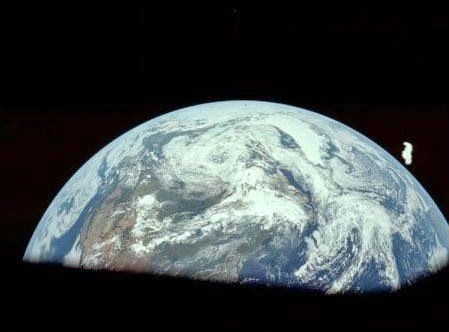 Buzz Aldrin had noticed an unidentified lighted object out of the window of Apollo capsule that appeared to be moving alongside the spacecraft as they were closing the Moon. He felt that it was sun reflected either from the rocket they had separated from, or the four panels that moved away when they extracted the lander from the rocket. They verified and concluded that it was one of the four panels which was moving alongside the spacecraft floating in free fall. Couple of days later on July 19, 1969, Aldrin went to the Lunar Module (Eagle) for final inspection of the devices and instruments. 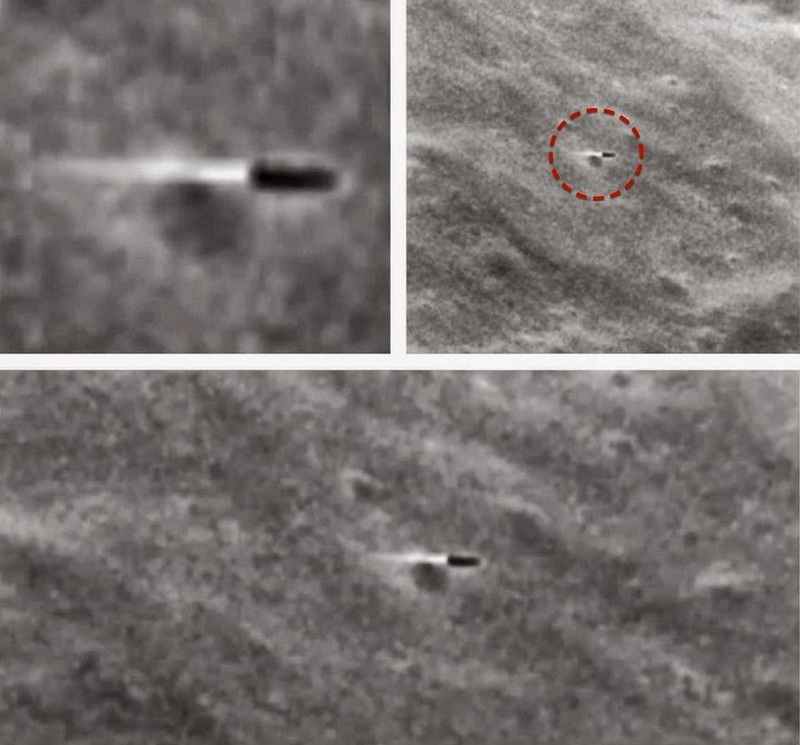 He saw the UFO's while checking the close-up camera at about 1800 hours which was recorded on film. The objects were in close constitution and discharging some kind of liquid. They conjoined for some time, then separated and went off their own ways. It seemed that they were intelligently controlled. 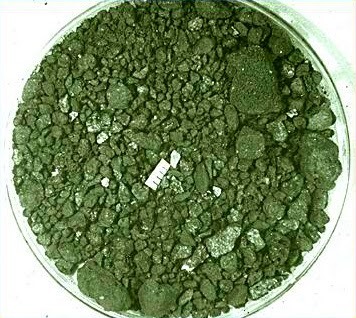 Michael Collins in Columbia (the Command Module) was busy communicating to Houston when Armstrong and Aldrin were gathering rock samples on July 21, 1969 at 00.26 hours just one and half hours after the astronauts had stepped on the Moon. Calling Houston. This is Columbia. I couldn't find the L. M. But I saw some weird small white objects. Co-ordinates are 0.3, 7.6 on the south west edge of the crater. If they're there they should have seen them too. It seemed that the mission was under constant surveillance by the unknown space vehicles and entities. 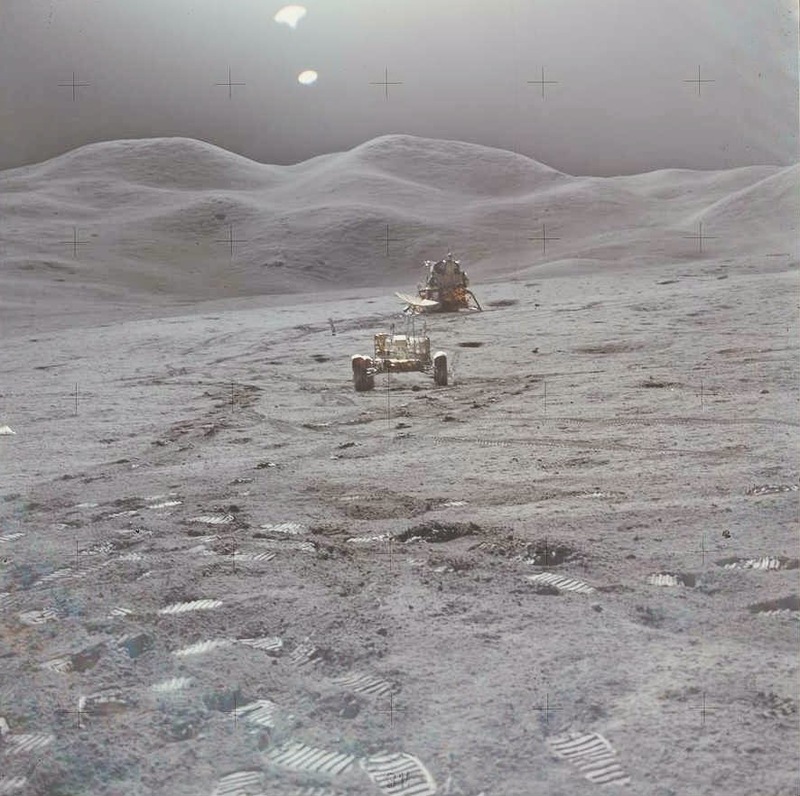 These white objects (seen by Collins earlier) made another appearance when Eagle ascended from the surface of the Moon at 13:55 PM on July 21, 1969 and proceeded to re-unite with Columbia. The fixed camera of Eagle was photographing the receding surface of the Moon. Suddenly a white, shining object (UFO) passed directly under the Eagle, diagonally from the lower left to the upper right of the frames. They had also sighted a strange weird object which seemed to modify its shape with changes in telescope's magnification. It was one of the most impressive sightings. 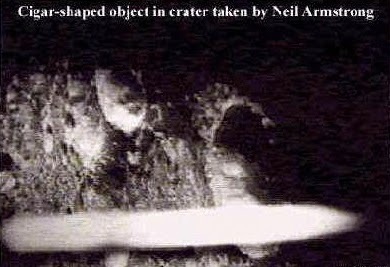 Neil Armstrong spotted a strange cylindrical object billowing between the spacecraft and the Moon which disappeared when he went to take photos. The astronauts had earlier agreed to designate the UFO's as Saint Nicholas but they were so amazed and bedazzled with what they already witnessed on the surface of the Moon that they radioed Houston (Mission Control) without the code. Apollo XI has taken almost 1500 still photographs and dozens of magazines of film. Transcripts of Apollo XI run to the thousands of pages. However, has all of the material ever been examined by researchers? 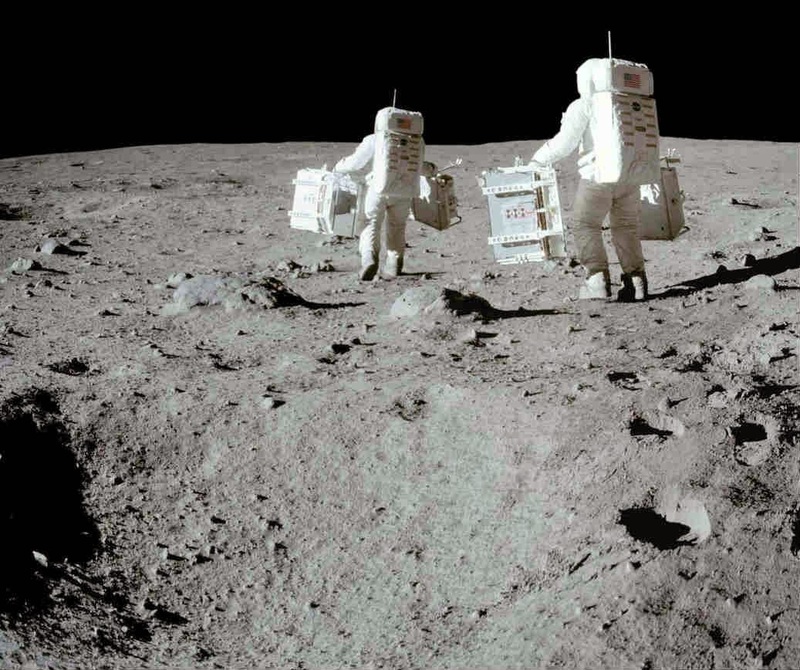 Is there an Alien Base on the Moon? Had Armstrong really seen the aliens and their extraterrestrial vehicles on the Moon, who eventually advised NASA not to return? NASA has carefully kept its secrets and CIA is the main agency which is primarily involved in the coverups of the extra-terrestrial and UFO existence and its sightings both in space and on Earth. Aliens have been visiting our planet for more than thousands of years. However the first incident of a military confrontation with the extraterrestrials was recorded in 1948 by the United States. The US military lost its military pilot in the incident and the government did not know how to react to this unforeseen event. This was one of the most publicized, controversial and significant incidents of early UFO sightings, which changed the perception of the people towards the UFOs. On January 7, 1948, at 1:15 PM, the control towers at the Godman Air Force Base located near Louisville, Kentucky received a call from Kentucky State Highway Patrol which had reports from residents of Maysville of sightings of an strange, unusual aircraft hovering in the sky. The Godman Tower got it confirmed from Flight Service at Wright-Patterson AFB and found that there was no experimental flights in the region. They only had a B-29 and an A-26 on photo missions in that area. The Kentuky state police called again 20 minutes later saying that residents of Owensboro and Irvington, Kentucky, were reporting a strange craft. They described that the object was circular 250 to 300 feet in diameter due West at a good pace. The Godman Tower checked the Flight Service again but found nothing. The tower operators who were looking for the reported object finally saw it at 1:45 PM. They called Flight Operations as soon as they assured themselves that the unidentified flying object was neither an airplane nor a weather balloon. 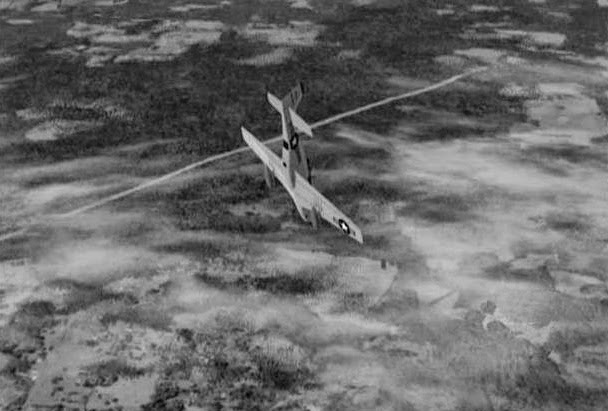 At 2:30 PM four F 51 Mustang fighters were approaching the Air Force Base enroute from Marietta, Georgia to Standiford Field, Louisville, Kentucky. The tower called the flight leader, Captain Thomas F. Mantell (in NG 3869 lead ship) and requested to try to identify the object. 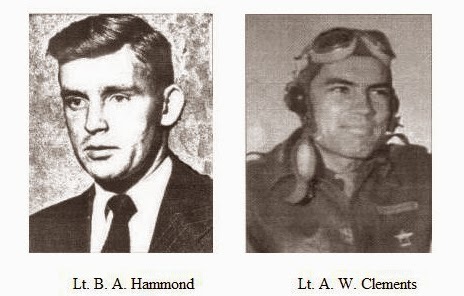 One of the four planes was low on fuel and asked for a permission to go to his base, while Mantell and his remaining wingmen (Lt. Buford A. Hammond and Lt. Albert W. Clements) headed towards the object. Clements recalls that Mantell was way ahead and by the time the they reached 10,000 feet, he was barely visible. Mantell called the tower at 2:45 PM and said "I see something above and ahead of me and I'm still climbing." Clements then called back and asked "What the hell are we looking for?" Mantel replied that the object was directly ahead and above of him, moving about half of his speed. Clements was able to see a small bright appearing object, very distant to be unable to identify its size, shape and color. The tower immediately asked Mantell to describe the object. Mantell replied but nobody remembers exactly what he answered. Saucer historians believe he said "I've sighted the thing. It looks metallic and it's tremendous in size.... Now it's starting to climb." Few seconds later he called "It's above me and I'm gaining on it. I'm going to 20,000 feet." Mantell mentioned going to 20,000 ft and if they could not go closer to the object would abandon the chase. Mantell was climbing at combat max rate/speed. Clements was close to Mantell but Hammond did not had oxygen and had leveled off to 15,000 feet. He was felling difficulties of hypoxia and by the time Clements reached 22,000 feet, Hammond was feeling dizzy. He contacted Clements by radio and considering the perils of anoxia, they turned back to their base at Standiford Field. They were worried and trying frantically to call Mantell who went out of their sight. Their calls went unanswered and Mantell never talked to anyone again. Lt. Clements then got his plane refueled, and serviced with oxygen and took off to investigate again. However, he saw nothing. The tower lost the sight of the UFO at 3:50 PM, while they got the news that Mantell had crashed a few minutes later. Several hours later at 7:20 PM, about a dozen of airfield towers reported sightings of UFO low on the Southwestern horizon and disappearing after about twenty minutes, however the Air Force said that it was planet Venus. Project Sign was the first Air Force research group assigned to investigate UFO reports. 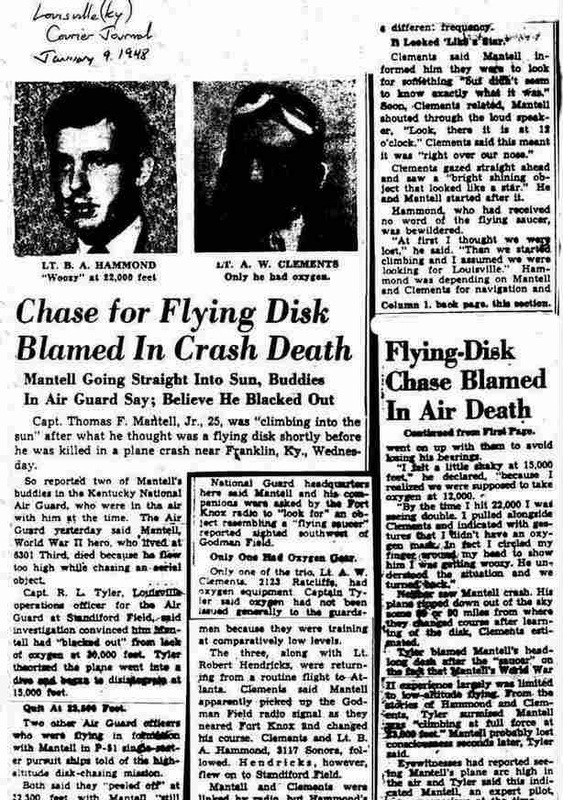 It investigated the Mantell Crash and in order to provide a quick answer to the incident, the officials in Project Sign reported that Mantell had unfortunately been killed trying to reach the planet Venus. The Air Force reported that once Mantell reached 25,000 feet, he passed out due to lack of oxygen (hypoxia or anoxia) and lost control of his aircraft. The Mustang began decending in a spiral picking up speed and completed two spirals. At 10,000 feet Mantell regained consciousness and tried to throttle back but the plane broke down at Mach limit, the engine overheated and the plane dived vertically. It crashed in a farm after a flat spin 4 miles South of Franklin, Kentuky landing on its belly. The firemen later pulled Mantell's body from the wreckage. His seat belt was shredded, and his wristwatch had stopped at 3:18 PM, the time of his crash. 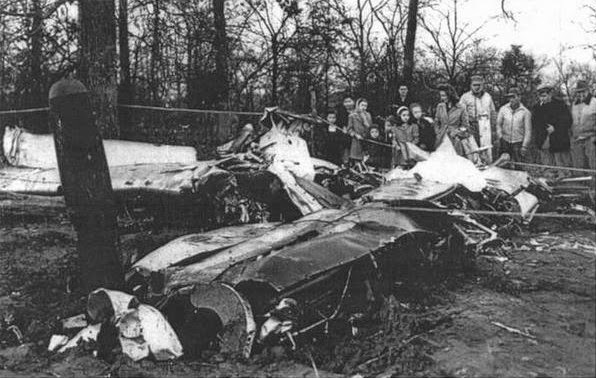 A police officer Joe Walker who took charge at the scene of the accident learned that the aircraft had exploded in the mid air before it hit the ground, but, the aircraft did not burn upon contact with the ground. 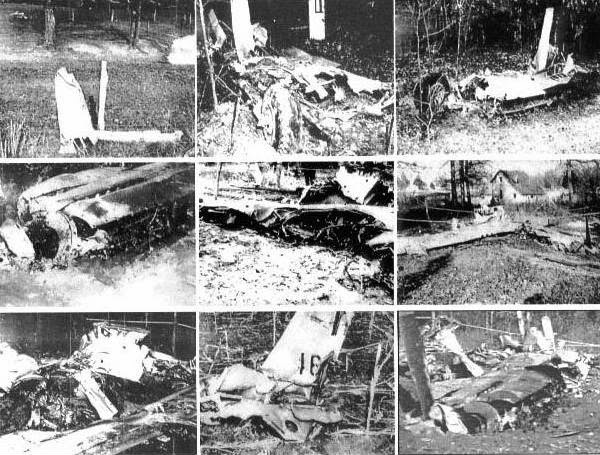 The wreckage was scattered over an area of one mile. The mystery UFO chase died with him. The Air Force released an official report on the incident one year later. It reported that the UFO might have been Venus of even a balloon. Venus was a strong suspect because it was in almost the same spot in the sky as the UFO. At 3:00 PM, Venus had been Southwest of Godman and 33 degrees above the southern horizon while at 3:00 PM the tower operators estimated the UFO to be Southwest of Godman and at an elevation of about 45 degrees. Allowing for human error in estimating directions and angles, this was pretty close. However, there was a big flaw in the theory. On January 7, 1948, the brilliance of planet Venus was six times that of the surrounding sky. Venus wasn't bright enough to be seen because it's practically impossible to find a light only six time as bright as the surrounding sky even in a clear day. It was clear the Air Force was unsuccessfully trying to cover up something important, using Venus as a shield. All other theories including the Venus theory was rejected. The only possibility was that either the object was a real UFO or US Navy Skyhook weather balloon. 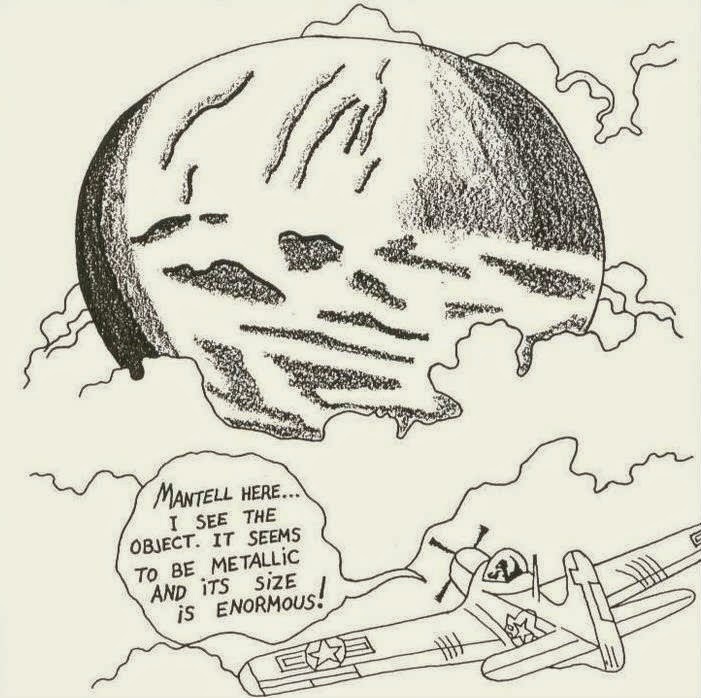 The Skyhook balloon project was highly classified at that time and neither Mantell nor the other observers in the air control tower would have been able to identify the UFO as a Skyhook balloon because they did not had the information. The Skyhook balloons were made of reflective aluminum, and were about 100 feet (30 m) in diameter. This is consistent with Mantell's description of a large metallic object. A large balloon could be visible for 50 to 60 miles and a Skyhook balloon was visible even at an altitude of 60,000 feet. Located at Wright Field, the group who supervise the contracts for all the Skyhook research flights for the Air Force had no records on flights in 1948 but they did think that the big balloons were being launched from Clinton County Air Force Base in southern Ohio at that time. The military have pretty good records on all the launches but they never could establish a launch date for that day. There were several reported sightings of UFO on the fateful day in the region including Madisonville and Owensboro when Captian Mantell died. All the possible theories of US Skyhook balloon was eventually rejected. The most recent launch of US Skyhook balloon Flight B launched by General Mills in Minnesota happened to be at 8:00 AM on January 6, 1948, and it was too far away on the next day to be noticed by Mantell and his wingmen. 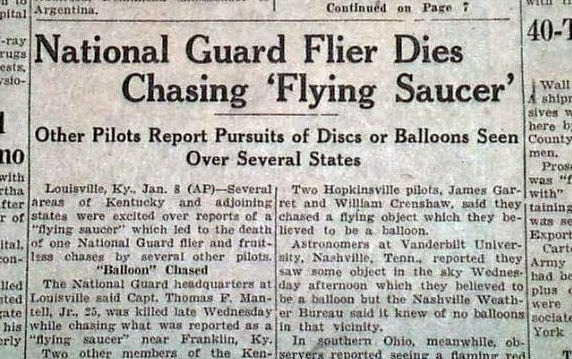 The Skyhook balloon was in Tennessee near Nashville at the time of the UFO sightings on January 7. Mantells case was covered up and declared as unsolved, and is still unsolved till today. Captian Thomas Francis Mantell Jr. was born in Franklin, Kentucky. After graduating from Male High School, in Louisville, he joined the Army Air Corps on June 16, 1942 and graduated from the Flight School on 30 June 1943. He was assigned to 440th Troop Carrier Group, 96th Troop Carrier Squadron, 9th Air Force during World War II. He was a distinguished pilot and was awarded Distinguished Flying Cross for courageous action during the Normandy landings, and an Air Medal with three Oak leaf clusters for heroism. 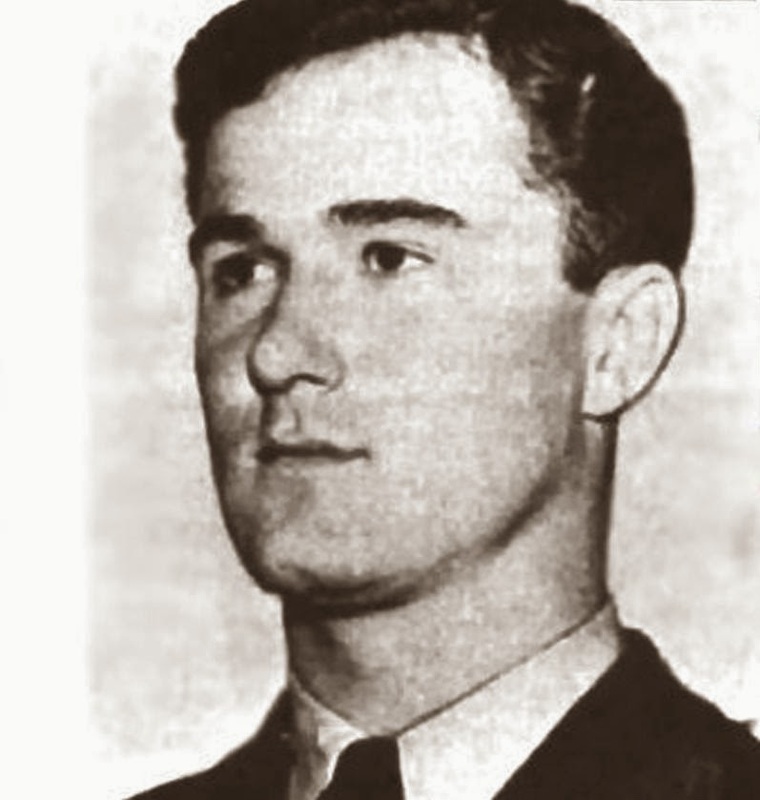 After the war, Mantell returned to Louisville and joined the newly organized Kentucky Air National Guard as Flight Leader, “C” Flight, 165th Fighter Squadron on 16 February 1947. 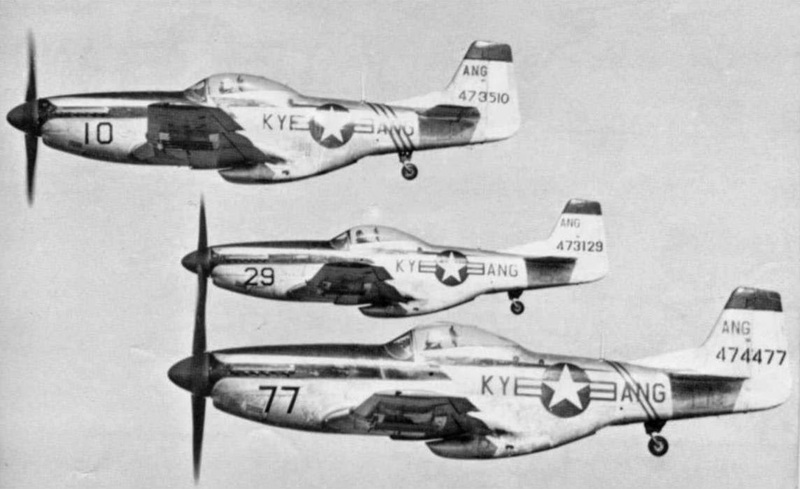 Mantell had been flying F 51 Mustangs since past seven months. 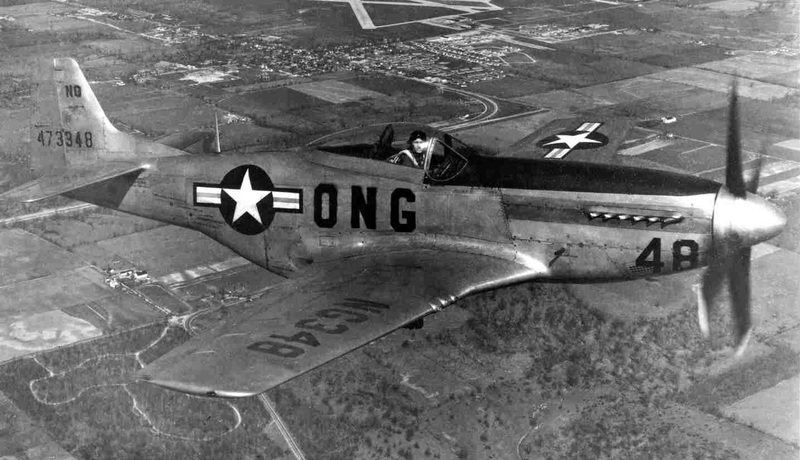 He had about 3,000 flying hours, of which 1,608 hours were pilot-flight time, out of which 67 hours was in F 51 Mustang. The F 51 Mustang was the one of the best fighters in US Army during the World War II. With an excellent range and maneuverability the Mustangs could climb up to 42,000 feet. Newspapers reported that Mantell was shot down by a magnetic ray from a flying saucer. He was the first person ever to die while pursuing an unidentified flying object. The resulted in major shift towards the perception to extraterrestrials and UFOs. They started to be considered as hostile and were no longer perceived harmless. First two F51's take off from Marietta AAF, Georgia. Last two F51's take off from Marietta AAF, Georgia. Position report, ~30 mi SW (~SSW) of Standiford AAF, Louisville, KY (~10 mi S of Godman). Mantell and his men enter max climb spiral directly over Godman Tower. Still in climb over Godman. Leveled out from spiral climb vectored straight SSW to 210. Max range F51 visible from Godman with unaided eye. Clements abandons Mantell, who now climbs at combat max rate/speed. Mantell passes out, loses control of the plane which begins descending in a spiral. Mantell regains consciousness, tries to throttle back. Plane breaks up at Mach limit, engine overheats, vertical dive then flat spin. Impact 4 miles South of Franklin, KY. Plane hard lands on belly.